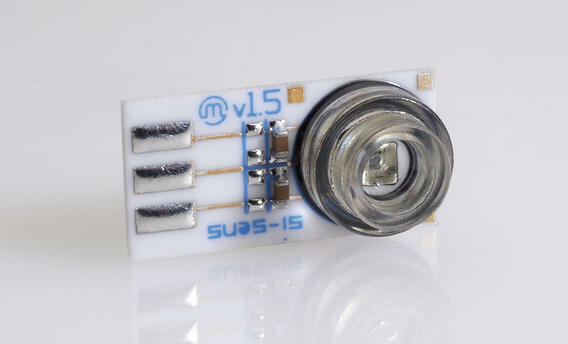 Metallux SA, based in Switzerland, not only offers ceramic pressure sensors but also thick film technology hybrid circuit design and manufacturing, i.e screen printing on ceramic, FR4, Flex, steel, aluminium nitride, sapphire, etc. Metallux SA also offers the capability to integrate electronic components such as IC's, resistors, capacitors, etc. Why use a hybrid circuit? High temperature demands. Circuits can be designed to withstand more than 85°C or for harsh environmental conditions such has high humidity. Low & medium power requirements around 2-3 kW. Ceramic is a very good heat dissipator. When trimming is required. It is possible to trim the screen-printed resistor on circuits with electronical components to adjust a voltage, current or frequency output. Enhanced security. It is very difficult to reverse engineer a hybrid circuit. Silicon pressure sensor for home boiler: A thick film hybrid circuit was designed for better stability in a harsh temperature and humidity environment. 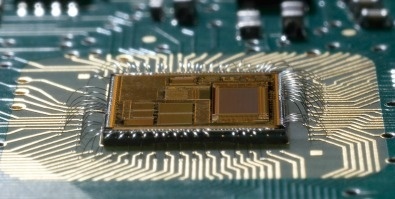 The stable and rigid substrate had the die pressure sensor glued onto it. The coefficient of thermal expansion (CTE) of the Alumina is lower compared to a standard PCB. To discuss how hybrid circuit technology can help you, please contact us.